There is no doubt that significant socio-economic changes have occurred over the last twenty years in the UK and other advanced capitalist societies. Consequently, Fordism, a bureaucratic, hierarchical model of industrial development has matured into Post-Fordism, with its greater emphasis on the individual, freedom of choice and flexibility, generating fresh debate and analysis. 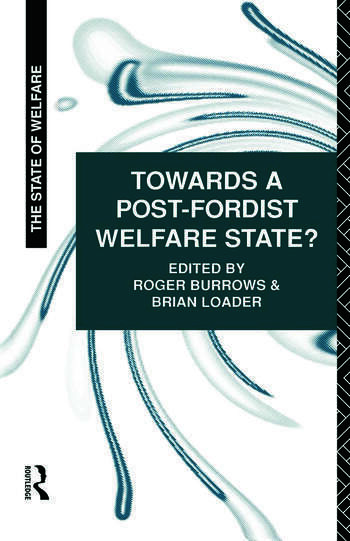 Towards a Post-Fordist Welfare State represents leading authors from a number of disciplines - social policy, sociology, politics and geography - who have played a key role in promoting and criticising Post-Fordist theorising and presents a thorough examination of the implications of applying Post-Fordism to contemporary restructuring of the British welfare state.